These durable HDPE dock plates are designed for use with two and four wheeled dollies, hand trucks and carts. 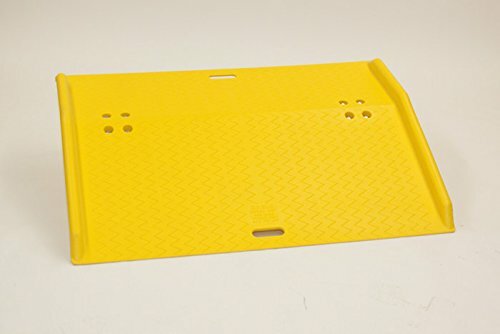 They feature a lightweight ergonomic design, a raised non slip surface, beveled entry and exit edges, high visibility yellow and integrated guardrails. Two integrated handles for easy handling. Aluminum legs for durability and strength. Light weight for easy use. 100 Percent recyclable HDPE. Compliance: Meets OSHA 1910.30(a). 750lb Load capacity. Measures 36" length by 48" width by 5" height.